Hello! My name is Lindsey and I live in a small town in east Tennessee. Where I’m from plays a big role in my personality as I like to describe myself as a down-to-Earth, fun-loving, true Southern, family-oriented lady! My most important role in life are that of Mommy to my beautiful girls, Sophia and Moreaya. I’ve been married to my husband, Robert, for 7 years. If you want to know even more about my family, you can read about all of us here. Before my Mother and Wife roles began, I was an East Tennessee State University college graduate and a young entrepreneur, owning my own successful childcare business at age 24. With a degree in Human Development and Learning, I learned to love seeing little ones grow, encourage employees to do their best, and work with parents in ways that I never dreamed I could. I’ve always loved working for myself as I have the drive to succeed in anything I do – I suppose being voted “Most Likely to Succeed” in our high school Superlatives came true! Lindsey Blogs, formerly known as So Easy Being Green, became my passion over 6 years ago as I began my journey as a first-time Mom. I turned to my favorite bloggers for advice back then and decided that I too wanted to be a resource for Moms. I began my blogging journey with a focus on cloth diapers and other small changes I was making for our family to live more green. 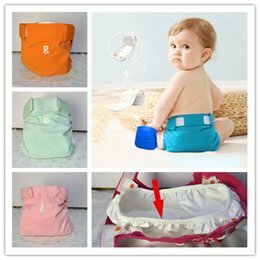 Although we’re a few years past the days of cloth diapering, that topic is still one of the most popular reasons people come to my site. I love being able to give back the knowledge that I attained during those pivotal years of my life! Today, I continue to share that same message of making small, easy changes to go green, but this space has also evolved into a place where I love to share stories about my family, places we love to travel, our favorite recipes and crafts, and everything in between! After all is said and done, I’m just a simple, Southern Mom dedicated to showing the world that being a mainstream green family can be easy! A quick look through my blog will let you in on a secret… I’m all over the place! But that’s in a totally good way because I love sharing all aspects of my life – how my girls are growing and changing, my current favorite fashion trends, delicious dinners I’m making for my family, and our favorite places to visit. Depending on the time of year, I have posts that tend to be the most popular with readers. And although we’re a few years out of our own cloth diapering journey, my stories and insight into the subject continue to touch and help other Moms who are right in the midst of their own! You can find some of my most Popular Pins on the right sidebar, here are a few of my favorite blog posts, along with some others that keep readers coming back. Along with sharing my day-to-day, I love working with brands directly through social media influencing and brand ambassadorships. This provides me with a unique opportunity to learn about the brands that my family loves more deeply, in turn sharing that information with readers in my own unique, positive and personable voice. Currently, I’m an Ambassador for Dollywood and have worked as a Brand Ambassador for Step2, Green Toys, Tom’s of Maine, Four Monks Cleaning Vinegar, The Climate Store, and Stonyfield Organic in the past. If you’d like to see more about my partnerships with exclusive brands, please check out my Media Kit. Now that you know a bit more about me, I’d love to know more about you! You can send me an email anytime at lindseygblogs@gmail.com. You can always tweet me @lindseyblogs or direct message me on Facebook or instagram.